Pew Forum: Different denominations deal differently with questions about life's origins and development. Conservative denominations tend to have more trouble with Darwinian evolution. Does the church have an official position on this topic? Russell M. Nelson: We believe that God is our creator and that he has created other forms of life. It's interesting to me, drawing on my 40 years experience as a medical doctor, how similar those species are. We developed open-heart surgery, for example, experimenting on lower animals simply because the same creator made the human being. We owe a lot to those lower species. But to think that man evolved from one species to another is, to me, incomprehensible. Pew Forum: Why is that? 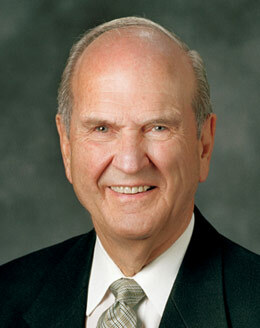 Russell M. Nelson: Man has always been man. Dogs have always been dogs. Monkeys have always been monkeys. It's just the way genetics works.